Today we have updated our My DID groups by adding in the ability to view any international and Toll-free numbers that are associated with one account. We have been receiving a number of customer requests stating that they would like to see all of their DID’s, meaning local, international and Toll-free, in one place in the BackOffice. As you know, at VoIP Innovations we listen to our customers and try our best to give them the features and functionalities they want, so we looked into what steps needed to be done to make this feature happen. After going through development and testing, we determined that this new feature was ready to deploy! Before we built this new feature, our customers had to look in a different spot every time they wanted to see a local, international and Toll-free DID's. 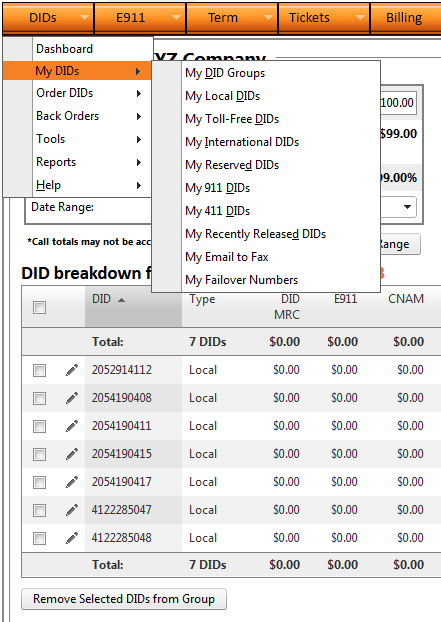 Now that all types of DID’s are located in the My DID Groups section, customers can easily manage their DID data from one, easy to use dashboard.